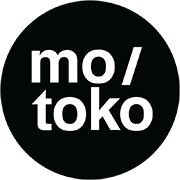 Motoko specializes in motion design combining 2d-, 3d animation and film. Our work is original and custom made, from concept to final output. From our studio based in The Netherlands we work on projects that fascinate us and make our hearts beat faster. Together with a team of specialists and a broad network we serve creative agencies, TV channels, production companies and corporate clients. Each production we explore within the DNA of the project to discover the true motivation of the client and come up with a suitable, aesthetic approach for a script, style and moving images. This way we provide each costumer with a unique final product, because no project is the same. A transparent budget and feasible planning are the essentials starting a production. Based on the wishes of the customer, we make a schedule and cost estimate. After this first encounter with the client, we monitor the purpose of the assignment and adjust the approach to the budget. Step-by-step we walk through all the necessary phases, like script writing, visual treatment, storyboarding and animatic. This is an important phase in the production process, so we aim to involve the client as close as possible. When the preparation work and plan is ready, we start the actual production of the animation. This involves making illustrations, 3d modeling, 2D or 3D animating. Some projects are also treated within post-production and we are always very precise on the music and sound design.